≈ The five Beach Boys participating in the reunion are Brian Wilson, Mike Love, Al Jardine, Bruce Johnston and David Marks. ≈ Founding members and Wilson's two younger brothers Dennis Wilson and Carl Wilson died in 1983 and 1998 respectively. They are both featured during the concerts, performing with pre-recorded vocals on video with the remainder of the band doing the harmonies live on stage. a : Members of California Saga, a group made up of the children of Beach Boys members Brian, Carl and Dennis Wilson, Mike Love and Al Jardine. ≈ This commemorative 50th Anniversary Beach Boys release includes an 11-song CD, a collectible 72-page magazine and three exclusive postcards. The CD features an all-new recording of the hit "Do It Again" available exclusively on this release, plus 10 more of the band's greatest hits. The magazine includes dozens of rare photographs from the band's career and exclusive new interviews with Brian Wilson, Mike Love, Bruce Johnston, Al Jardine, and David Marks. The postcards can only be found in this limited edition package. 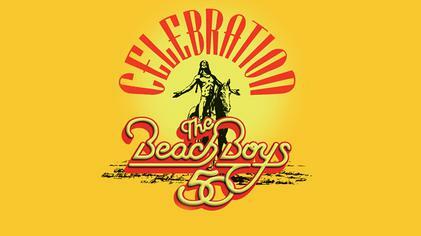 ≈ The tagline I gave my first Blogcritics review five years ago was: "A new Beach Boys compilation? It must be summer! The Warmth of the Sun returns 'America's Band' to the charts and, just maybe, to respectability." A scant few years after Capitol Records seemed to be making good on their pledge to clean up the groups' catalog, with three sequential "greatest hits" volumes intended to replace the numerous "best of" titles, the Beach Boys' label seemed to be sliding back into their old, exploitative ways. As good as Warmth sounded, with new stereo mixes of some old standards making their debut and the relative novelty of being a collection of songs selected by the band members themselves, it signaled a resumption of the endless repackaging of the same old songs. ≈ This summer, we get something truly different. In conjunction with the Beach Boys' 50th anniversary reunion tour, Capitol has issued a "limited edition career retrospective," called The Beach Boys Limited Edition 50th Anniversary 'ZinePak. Phew. You can nearly name off the CD's track list in the time it takes to recite the title. Capitol (and, to be fair, the group) has chosen to mark the occasion of the Beach Boys' gold anniversary with a miniature 72-page book of interviews and photos packaged with a CD. Oh, and you also get three "collectible" postcards (and I can only imagine that the overlap between Beach Boys and postcard collectors must be massive). The 'ZinePak is actually a kind of nifty format, the cute lil' book is more like a box set enclosure than a generous CD insert. Despite the familiarity of the photos and superficiality of the interviews, the book is colorful fun to flip through. You do have to wonder why they attempted an album discography when the best one-sentence summaries they could come up with were, "[Their] first to be recorded digitally and released on CD" (1985's The Beach Boys) and, "One of the first albums to be recorded and edited entirely using Pro Tools on a Macintosh computer" (1992's Summer in Paradise). And can this fan mag be the "career retrospective" they refer to on the cover? Must be, because the only way the CD fits that description is through inclusion of one of their earliest singles, "Surfin' USA," and one of their latest recordings, a recent remake of their 1968 hit, "Do It Again," available (they now say) nowhere else. If they were aiming for a true retrospective of a five-decade career, why not start with "Surfin'," released by Capitol in 1961? Why "Be True To Your School," which topped at number six on the Billboard singles chart, instead of "Rock and Roll Music," that hit number five? Why not both? ≈ No matter. The spirit of the early hits is ably recaptured in the disc's brevity, clocking in at an All Summer Long-like 33-and-a-half minutes. And the selections for the disc-which is labeled Anniversary Collection for maximum confusion-appear to be, with the noted exception, their very top-selling singles...and not one note more. ≈ That is, with the exception of the 2012 edition of "Do It Again." Had this remake been done using 1968 tech, it would constitute stunning evidence of the Boys still being in strong voice and possessing true pitch. Today's technology can Britney Spears resemble a singer, however, so of course it can make one of the greatest vocal groups ever sound great. The extent to which Auto-Tune was in play here is up for debate. What is evident is that Mike Love's voice is heavily processed and that surviving Beach Boys Brian Wilson, David Marks, Al Jardine, Mike Love, and Bruce Johnston are massively supported by Jeff Foskett and others, presumably from Brian's touring band, seen backing them up on recent TV appearances. At least those appearances are paying off for them: they sold 14,000 copies of their upcoming album That's Why God Made the Radio in a one-hour appearance on QVC, outselling their last previous album of original material, Summer in Paradise (1992), in one night. ≈ Apart from the novelty of the acrimonious seniors reuniting at all, the only novel aspects of "Do It Again" 2012 are the more prominent guitars at the song's beginning and replacement of the original's "workshop sounds," recorded for the SMiLE album, with a loose rave-up ending from the backing band. Even the guitar solo (possibly by Marks) follows the basic template of the original. For Beach Boys completists, the new recording is a must, I'm sure; casual fans would be better served with the 1968 original. ≈ If you should want to purchase this blatant cash-grab, your choices are limited. Consumers can either put a bag over the head of their sense of personal ethics and buy this thing at America's largest "bricks and mortar" retailer, or pay collectors' prices on one of the online auction sites. Just as the Beach Boys delivered the "bunt" of Smiley Smile (1967) in place of the "home run" promised with SMiLE, they and Capitol chose to mark this golden anniversary with a cruddy plastic Cracker Jack trinket. ≈ That's Why God Made the Radio (2012) © The Beach Boys en el Ed Sullivan Show interpretanto 'I Get Around'. // Brian Wilson performing the song "I Get Around" with The Beach Boys on The Ed Sullivan Show in 1964..